But Jurgen Klopp handed Wijnaldum a starting place and he did not disappoint, putting in a superb display and scoring his side's second goal with a neat lobbed finish inside the penalty area. The Dutchman, who made 160 appearances for English clubs prior to Saturday's goal against Bournemouth, believes it is the best he has ever scored in England. He told Dutch daily the Algemeen Dagblad: "It was nice. "Yes, my best goal in England." 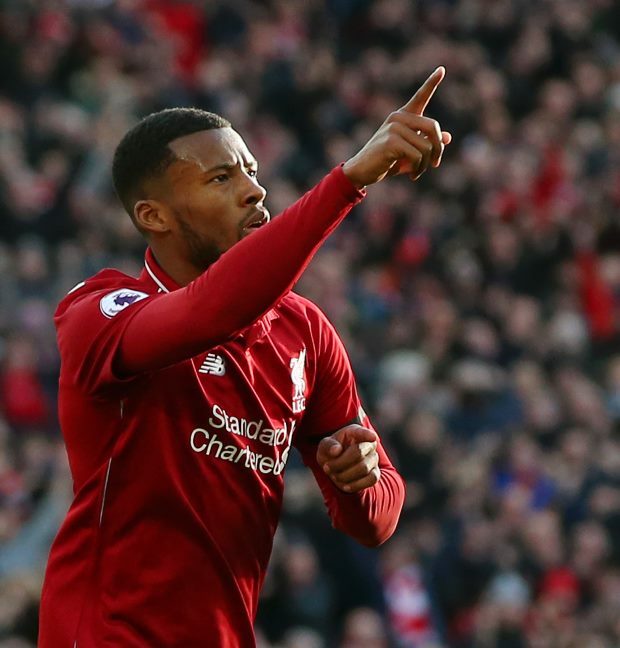 Wijnaldum had been suffering from the effects of a gastrointestinal issue and admits that he did not even train on Friday, while the Reds kept him isolated from his team-mates due to the risk he would spread the illness. "I did not even train on Friday, but luckily I did not have to play the whole game today." Wijnaldum was replaced in the 77th minute at Anfield.